Several Idaho school superintendents are speaking out against a proposal to change Idaho’s school funding formula. 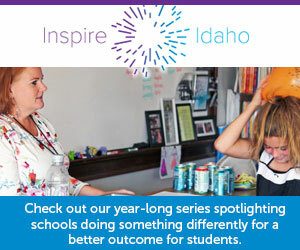 The five superintendents who spoke to Idaho Education News for this article all said they cannot support changing the funding formula if it would cause some schools to lose money — even if their own district stood to gain from the change. Last week, the Legislature’s Public School Funding Formula Interim Committee accepted a draft of a new funding formula and agreed to recommend it to the Legislature. As proposed, the new formula would not reduce the total amount of public school funding. But it will distribute the money differently, by changing from an attendance to an enrollment model and adding in funding weights for demographics. Under the latest draft, 36 school districts or charters would expect to see less funding than they did in 2017-18. The remaining districts and charters would expect to see their funding increase or stay the same. One of the districts that would be hit the hardest under the change is Orofino. The latest draft shows Orofino’s funding would be reduced by $1.3 million per year, a 13.4 percent hit. Superintendent Michael Garrett said the district already asks patrons to approve a supplemental levy and could not withstand such a funding hit. Garrett hopes lawmakers will make additional tweaks to the formula to cut down on the number of districts that would lose money. One of the districts that would stand to gain under the change is West Ada, the state’s largest — and still growing — district. The latest draft shows West Ada would be in line for a $9.4 million increase, representing about 4.4 percent of its district. Lawmakers on the funding committee have voiced support for holding districts harmless for three years during the transition, but that protection would be removed after the first few years under a new formula. West Ada Superintendent Mary Ann Ranells is concerned about the fluctuations between formula drafts. An earlier draft showed her district losing money, while the latest draft shows an increase. Even more than that, Ranells is concerned about running teacher salary money from the career ladder salary law through the formula with the rest of the funding. Ranells said the career ladder improved negotiations between her district and its teacher’s union by adding predictability and transparency to the salary negotiations process. She worries what would happen if all that money ends up lumped together as discretionary spending. “Salary-based apportionment always made it fair, regardless of the size of your district or location or the property taxes you have,” Ranells said. Ranells worries one way districts would be forced to respond is to seek out beginning teachers, who would cost less to hire. Boise Superintendent Don Coberly also has concerns about the fluctuations in the formula. He noticed an apparent $70 million funding shift that he said needs explaining. An Oct 25 draft of the funding formula ran $1.56 billion in total funding through the formula for its calculations. But the Nov. 21 draft runs $1.63 billion in total funding through the formula. The tweak reduced some of the districts that would lose money under the latest draft, but Coberly fears it’s not an apples-to-apples comparison. He believes they used 2017-18 enrollment and funding data for the earlier drafts. For the latest drafts, he believes they used the same 2017-18 enrollment numbers, but swapped in 2018-19 funding levels without the corresponding change in enrollment to make the math more palatable. With just over a month until the start of the 2019 legislative session, the proposed change to the school funding formula appears to be the biggest education issue on the table. Any change is important because school funding is the state’s largest expense. This year, the state spent about $1.8 billion in general fund spending on K-12 public schools. Fremont County Superintendent Byron Stutzman believes legislators will make the formula more equitable before approving any changes, and he plans to continue to travel to Boise to make his case. As things stand now, his district would lose $1.2 million, or 9 percent. “Every superintendent I talked to does not want there to be losers,” Stutzman said.